It’s 7:20 p.m. Thursday night, dinner is done and the Moon hasn’t shown its face yet. That’s because it’s a Waning Gibbous. The Moon rises later each night, reaches its peak at mid-phase around 3 a.m. and sets after sunrise. That explains why I awoke at 3 a.m. Tuesday to bright bedposts and a glowing bathroom floor. I love when that happens. A Waning Gibbous beamed through my second-story window at 93% illumination and pulled me from under my comforter. The window was alight, my high porthole to my backyard, the rolling landscape below like a swelling sea. The iron pergola resembled a whale’s ribcage afloat. The shadows of our mature maple trees sketched the earth with their long branches. We planted those trees our first summer after we built the house in 1989. How were we to know those saplings Mel’s father gave us would grow into what arborists and gardeners term noxious? How did twenty-eight years pass under this faithful light and now I am a senior citizen? “What a wonderful world,” I whispered to the beautiful moonshadows. I heard Louis Armstrong singing in my memory. It’s 10:20 p.m. I just stepped outside after a long chat with my sister Patty who lives in Prestonsburg, Kentucky. Still no sign of Mr. Waning Gibbous amongst the constellations. In four hours at 3 a.m. I will resist his alluring radiance of 71%, for I must regenerate a good crop of brain cells for our trip to Lexington, Kentucky, tomorrow morning. “It should be a good weather weekend to travel,” my friend Sue said today. The best hen and cat sitter around these parts, Sue loves animals and takes good care of ours while we’re away. This frees our minds to relax and visit with Uncle Tab and Aunt Alma Leigh. As February’s Moon passes from the Waning Gibbous to Last Quarter to Waning Crescent, Uncle Tab and my husband will sip their morning cup of coffee while I sip my tea. “That’s what I enjoy most about company,” my uncle once said. He’ll tell stories we’ve never heard before, some I know by heart. I’ll make breakfast with our green and blue eggs. 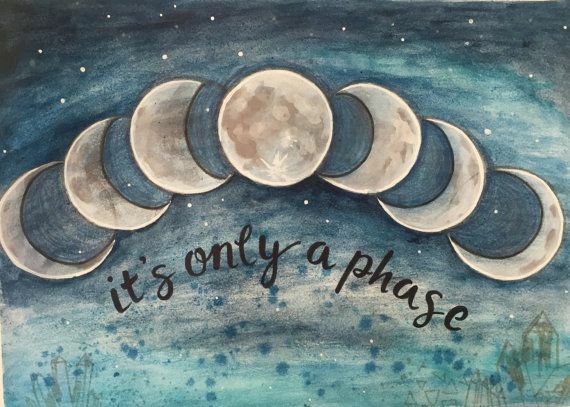 Yes, this lunar phase is good timing for there won’t be any moonshadows following me to Kentucky and staying the night. I won’t be leapin’ and hoppin’ on moonshadows when I should be sleeping. Dear Reader, it’s 11:20 p.m. and clouding up. There’s no Moon in sight. Just a few faint stars. It’s past bedtime. I’ve plum run out of words and mind. Oh, one last thing: the Waning Crescent phase is best viewed an hour of two before the sunrise. So, take up your binoculars to see craters and mountains casting long shadows on the bright side of the Moon. Imagine that—the Sun touching Moon mountains, making moonshadows. Moonshadows. Is that Cat Stevens singing from way back in 1970?